How to use AIDE together with Android Studio. Install AIDE from Google Play (minimum version 2.0.1) on your Android device (all Android versions from 2.2 are supported) and start it. AIDE also supports basic Android Studio projects, which follow the default project structure. The full gradle build system is not yet supported though. 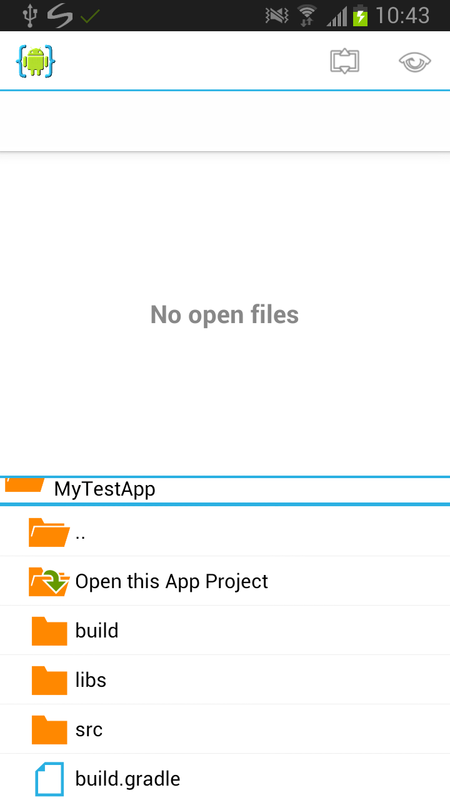 To open an Android Studio project on your device with AIDE, first copy the source files to the SD card - either manualy, or using Dropbox, or using Git. 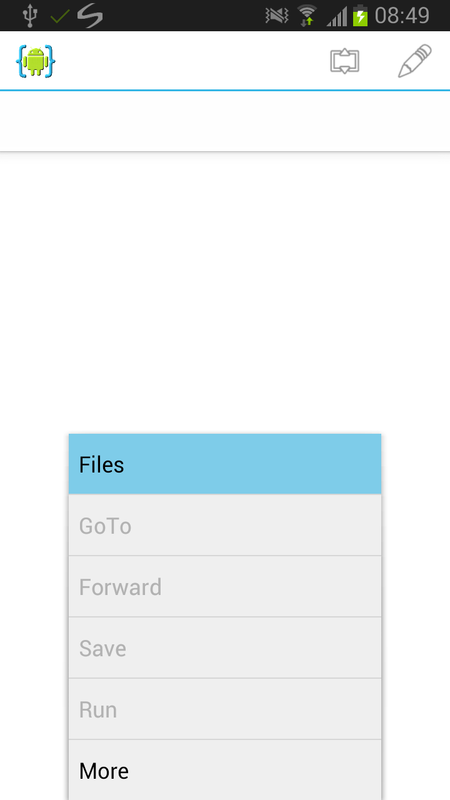 Then open AIDE's built-in file browser and go to the directory that contains the source files. AIDE will recognize the Android Stuido project and offer an option "Open this App Project".